This is a guest post from J.D. Roth. J.D. founded Get Rich Slowly and now writes at More Than Money. Ready or not, the holidays are here and the shopping season is upon us. Although I wish I could convince you not to shop during November and December — I’m a fan of Buy Nothing Day myself — I realize I’m in the minority. It’s Black Friday. It’s Christmas. People are going to shop. If you do choose to shop this time of year, be smart about it. Make no mistake: It’s a war out there, my friends, and the merchants aren’t on your side. They want your hard-earned money just as much as you do, and they’ve got all sorts of tricks to separate you from your cash. You see, merchants are smart. They spend billions of dollars every year conducting research into what makes people like you and me buy things. And so they put the sweetened cereal at your 6-year-old’s eye level. They block the aisles with displays to create traffic jams in front of the things they want to sell. They’ll even use scent to encourage spending! 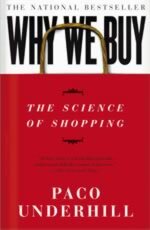 In his 2000 book Why We Buy: The Science of Shopping, Paco Underhill — an environmental psychologist — described what he’d learn through years of research into consumer behavior and retail marketing. Some of this stuff is very subtle. I once heard a talk given by the vice president of merchandising from a national chain of young women’s clothing stores in which she deconstructed a particular display of T-shirts. “We buy them in Sri Lanka for $3 each,” she began. It was the most depressing valuable lesson I’ve ever had. Spend less time in stores. 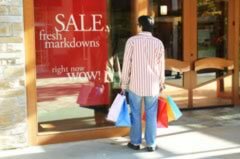 Underhill writes: “The amount of time a shopper spends in a store (assuming he or she is shopping, not waiting in line) is perhaps the single most important factor in determining how much he or she will buy.” Don’t browse. Shop with a purpose. Don’t use a basket. Only use a basket (or shopping cart) if it’s absolutely necessary. Baskets induce people to buy more. And you know how the upscale places offer to place your items behind the counter to make it easier for you to shop? That leads you to buy more too. Don’t try samples. Research indicates that people are more likely to buy something if they can sample it first. Don’t try the samples as you wheel around the giant warehouse store — or stand at the perfume counter. They’re likely to make you want the product. Avoid advertising. Advertising exists for one purpose: to get you to buy things. If you don’t want a closet full of clothes you never wear, reduce your exposure to advertising. Ignore the racks of impulse items. Those things by the cash registers are high-margin products designed to make the retailer profit while parting you from your money. These are not things that you need. Don’t go shopping. The number one way not to buy anything is not to go shopping. It’s obvious, but true. Many of you have probably read Malcolm Gladwell’s best-selling Blink: The Power of Thinking Without Thinking. That book, too, points out the power of marketing, emphasizing how shoppers are manipulated in lots of tiny ways. Even when we think we’re immune to marketing, we’re not. Good stores perform a kind of retailing judo — they use the shopper’s own momentum, her largely unspoken inclinations and desires, to get her to move in a direction unplanned, and often unaware. In the end, it’s not enough that goods be within reach of the shopper — she must want to reach them. And having reached them, she must then wish to own them, or all this effort goes to naught. Amid so much science, we discover in the end it’s love that makes the world of retailing go round. So, be careful out there, folks. If you’re going to shop on Black Friday — or at any other point during the holiday season — be smart about it. Go prepared. Stick to your budget. And, most of all, watch for the tricks that merchants use to lure you to buy.